The Walters State Community College High School Creative Writing Competition has been held annually for over twenty-five years. The competition accepts submission from high schools in the Walters State service area and features three categories of writing: Prose, Poetry and Scripts. 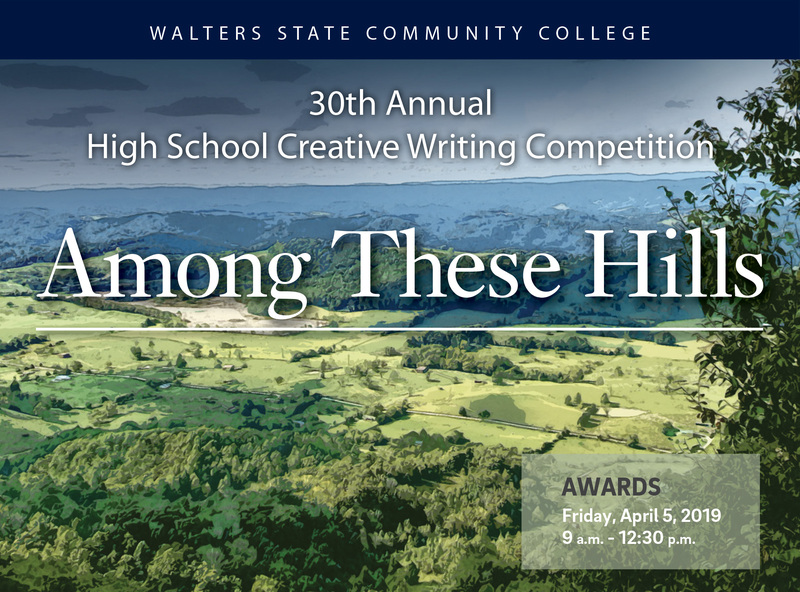 Selected student submissions are published in Among These Hills, and the winners of the categories receive prizes. The top entry each year also receives a full scholarship to Walters State Community College. The deadline for submissions and registration is February 8, 2019. Entries must be emailed by this date. The only entries we will be accepting this year are electronic submissions. Please make sure to keep an electronic file of your work! Entries must be submitted by instructors—no direct student submissions will be accepted. This competition is open to all 11th and 12th graders in our service area. Each student is limited to one entry per category. Language should be appropriate for high school audiences, and entries may be disqualified because of profanity and/or obscenities. No editing will be done by WSCC, and entries requiring copious amounts of editing will be disqualified. Unfortunately, due to the complexities involved in awards, plaques, certificates, and especially the scholarship, we cannot accept multiple author/collaborative submission works. Students should submit publication-ready entries to their English teachers, who will pre-edit and then forward to Walters State. Please note: All rules will be strictly enforced. Your assistance in this will be appreciated. Thank you for all that you do on a daily basis to enrich student learning! Teachers on the block schedule may submit work of students from both fall and spring semesters. No editing will be done by WSCC. Entries requiring copious editing will be disqualified. High school instructors should make sure that all entries are publication-ready upon submission. Teachers, please follow the submission guidelines and then forward submissions to Walters State via email: creativewriting@ws.edu. Microsoft Word documents or in rich text format. PDFs should only be used for graphic stories completed with illustrations. Entries received in formats other than these may be disqualified. By eliminating the forms from previous years, we hope to simplify the entry process for you. All plays must be original and have a title. 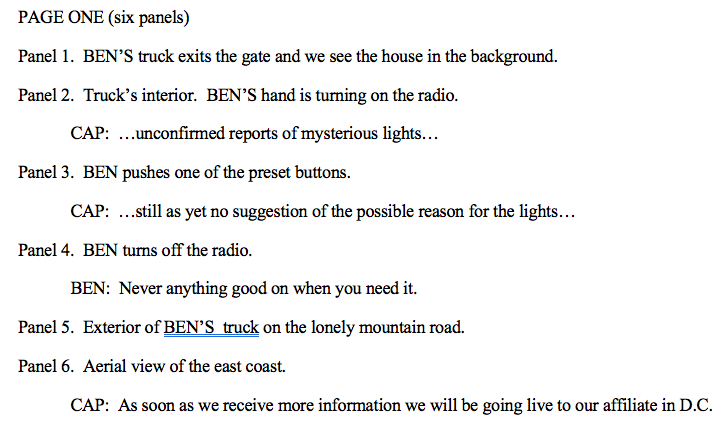 All plays should have stage direction. Plays are not to require longer than 10 minutes for performance. All plays must possess plot and theme. All short stories must be original and have an original title. Stories should be no longer than six double-spaced, typed pages, Times New Roman 12 pt. font. All entries must have an original title. Entries can be autobiographical or relate the experiences of someone students know personally. Entries should be no longer than six double-spaced, typed pages, Times New Roman 12 pt. font. All poems must be original and have an original title. Most forms (such as free verse and formal) will be accepted. Poems should be no longer than six double-spaced, typed pages, Times New Roman 12 pt. font. All plays must be original and have an original title. Plays should be no longer than size double-spaced, typed pages, Times New Roman 12 pt. font. All graphic story scripts must be original and have an original title. Graphic story script only should be no longer than size double-spaced, typed pages, Times New Roman 12 pt. font. All graphic story completed with illustrations must be original and have an original title. Graphic story completed with illustrations should mix visual art with prose or poetry. Graphic story completed with illustrations should be no longer than size pages.